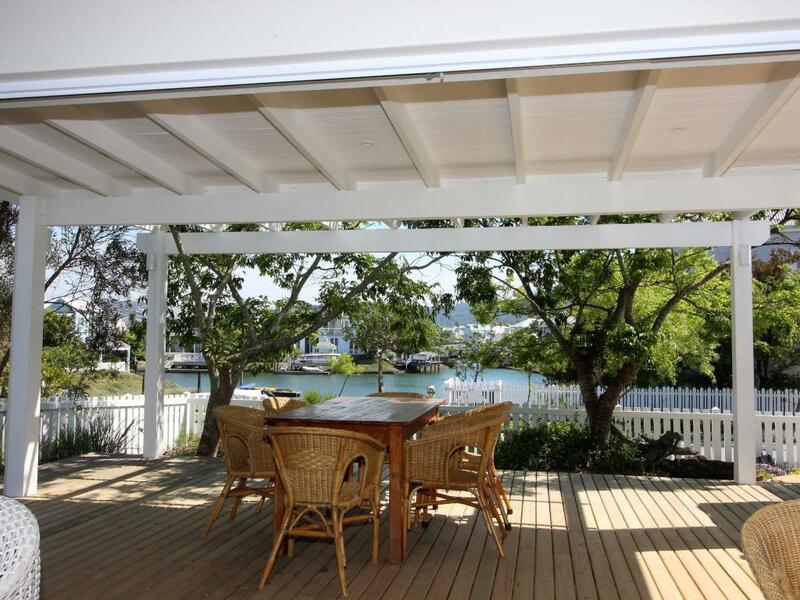 4 Bedroom Home for sale on Thesen Islands"
Enjoy the best of both worlds, beautiful views over waterways and the parklands. Parklands to the West and South of the Property. The estate offers scenic walkways to Thesen Harbour Town with an added bonus of a putting course, squash courts, tennis courts and birding. The home has a private jetty included in the sale. This newly renovated home consist of 2 separate units, the main home plus a fully functional one bedroom studio. This home and studio has great potential as a holiday destination for an extended family. The main building sleeps 6 guests comfortably while the Studio can sleep 4 more guests. The home consists of spacious 3 bedrooms and 3 en-suite bathrooms. Also has a guest loo. The kitchen is brand new. Large lounge with adjacent dining room. The home has a North facing sun deck which is partially under roof. Newly build braai area. 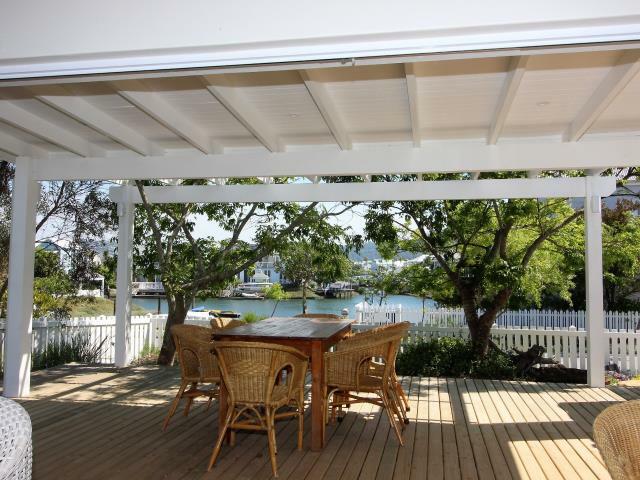 A further sun deck with view over parklands towards The Heads. The Studio has a lounge area, dining room kitchenette ,bathroom and a sundeck with view over lagoon. Unit can sleep 4 guests as there are 2 day beds in the lounge area. This unit has a master bedroom that fits a king bed easily.